Glistening Profits with Squeaky Clean Deals! P&G Supplier Weel! 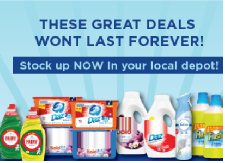 This week, there is an opportunity to make glistening POR’s of up to 64% with squeaky clean deals from P&G. To maximise sales, you can take advantage of the P&G core cleaning range with the number 1 hand dish brand, Fairy and the number 1 surface cleaning brand, Flash. For a better understanding, there are 6.1 cleaning occasions in the UK and the average shopper visits their local store 4 times and spend around £9.72 per trip. So what are you waiting for? Grab these cleaning products at discounted rates between 26th November and 2nd December 2018 ONLY. 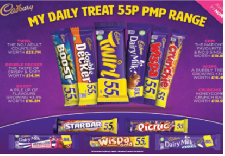 Sweeten your profits this festive season by stocking up on PMP and non PMP daily treats from Cadbury between 26th November and 2nd December 2018! This is a delicious opportunity to make POR’s of up to 53.7% with mouth-watering products to keep your customers spirits up during the cold weather and festive season. Whether it is a cheeky Cadbury’s Crème Egg they wish to enjoy or some soothing Halls to keep away those nasty bugs, take advantage of these exceptional offers NOW!! DIAGEO Trade week promotions kick off 19th-25th November... Lift your spirits with the perfect mix this festive season and grab these deals while you can! 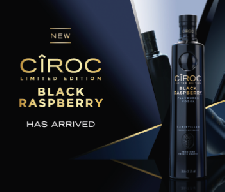 Plus Pick up NEW Ciroc Black Raspberry also available from Monday! CÎROC™ Black Raspberry is a rich tasting spirit from the makers of CÎROC™ Ultra-Premium Vodka and is gluten free. Distilled five times to ensure high quality, the spirit is masterfully infused with black raspberry and other natural flavors, resulting in a taste experience that is lusciously different and elegantly smooth. Enjoy on the rocks, as a shot or mixed in your favorite cocktail. Taste? Juicy black raspberry and subtle aromas of tropical fruit and citrus. Fresh, ripe black raspberry with notes of red berries and balanced sweetness. Lasting berry jamminess plus a touch of citrus zest.